Global Organ Group certifies a Johannus organ and a Rodgers organ. The Global Organ Group makes the sound of the authentic pipe organ accessible to a broad public in a variety of ways. 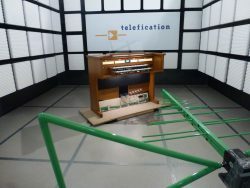 From compact organs for private homes through completely custom-made digital church organs to hybrid concepts that uniquely merge existing pipe organs with a digital organ. In doing so, the Global Organ Group has quality high on its list. And that is exactly where the paths of the Global Organ Group and Kiwa Telefication crossed. EMC measurements of an organ. The Global Organ Group is known around the world for the smart and strategic application of their knowledge, the continued product development and the use of advanced technology. Built upon a tradition that extends back for years, the Global Organ Group brings past and present together. The company has four brands at its core: Copeman Hart, Johannus, Makin, and Rodgers. What can clearly be seen as a driving force among the Global Organ Group is that the four brands are all building on a personal identity. Not only in their sound, but also in their appearance and their technological character. To assure the quality of their brands the Global Organ Group contacted Kiwa Telefication for certification of a Johannus and a Rodgers organ for both the European and the United States markets. In order to obtain certification, EMC testing is needed based on the EU and the FCC standards. These tests ensure the correct operation of different equipment within a common electromagnetic environment. The result: quality of sound. Kiwa Telefication tested both organs following the EMC regulations according to EN 55024 and EN 55032. The EMC testing is required to confirm that a particular device meets the standards in Europe. The EMC directive states limits for the electromagnetic emissions of equipment to ensure that, in normal use, the equipment does not interfere with radio and telecommunication equipment and other equipment. So when the mobile phone of you partner goes off, the beautiful sound of the organ will not be disturbed. The FCC mark is a certification mark employed on electronic products manufactured or sold in the United States. It certifies that the electromagnetic interference from the device is below certain limits and approved by the Federal Communications Commission. 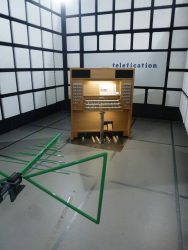 Kiwa Telefication checked the organs according to EU and FCC standards and approved both the Rodgers and the Johannus organ as well. The results of both tests will be part of an accredited testing report.